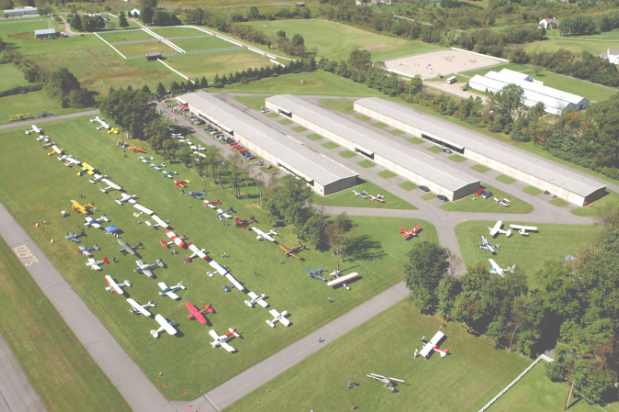 Sky Manor Airport is located about 2 miles southwest of Pittstown, New Jersey. Federal and state authorities are investigating after two people were killed Sunday in a plane crash at New Jersey's Sky Manor Airport in Alexandria. New Jersey State Police announced on Sunday afternoon that officials had responded to a double-fatal crash that occurred around 12:32 p.m. on Sunday afternoon. The National Transportation Safety Board also indicated its role in an investigation of a downed aircraft in Pittstown, Hunterdon County. The NTSB identified the aircraft as a Mooney M20J, a small four-seat propeller plane developed in the late 1970's. NTSB investigating today's crash of a Mooney M20J in Pittstown, NJ. An official with the Federal Aviation Administration later confirmed that the plane crashed in a residential neighborhood about half a mile south of the small airport, according to NJ.com. The official said the plane crashed after stalling during an attempt to land, though the exact cause remains under investigation. The victims in the crash were not immediately identified. No other injuries or damage were reported in the area. New Jersey State Police will assist the FAA and the NTSB in their ongoing investigation.